As this is my first Through the Ages Thursday I thought I would start with the band that has been a consistent go to for me in times of need. I have my notes open as I write this and I took so many that I’m pretty self-conscious of how long this post could get but I will try to condense it as much as possible. As with most people Fall Out Boy (FOB) was brought to my attention around the “Sugar we’re going down” era. I heard this, thought it was pretty good then heard Dance, Dance and knew I had to have the album. I had only heard the first album “Take This to Your Grave” maybe twice before I did this little challenge. I don’t know if it’s because I fell in love with them after this point but Take This to Your Grave album is a bit of a flop to me. You can tell it’s the start for them as the sound is what I call dirty, by this I mean if they were a machine it would be a machine with a few screws that needed tightening or some WD-40! With the lyrics too they seem to be missing a fair bit of the classic FOB wit that shows throughout the other albums and it’s the witty and clever lyrics that I love more than anything about FOB. 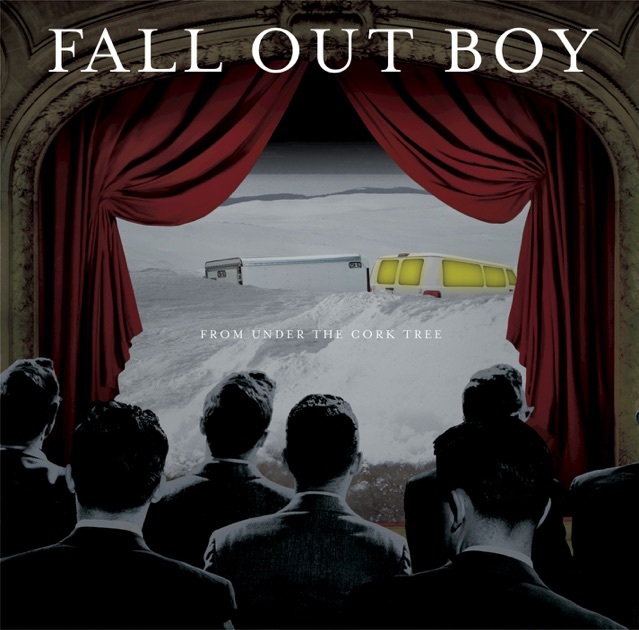 You can really hear that the screws have been tightened a little when it comes to From Under the Cork Tree and the wit is definitely present throughout the entire album. This was a big favourite of mine back in my teens me and my younger brother put our pocket money together to buy the album a few months after my dad passed away. It’s actually pretty difficult for me to re-listen to this album now the heavier rock tones to this album were perfect back then for us to blow off some of the intense angst that comes along with grief but at the same time good music has the power to take my back to a time and place it had the most impact and revisiting that time is hard. I think that should be a testament to how good this album is thought that it still has such a big impact, the tone of the album is a little heavier than what I often listen to now but I believe that’s just because I don’t feel so angry, angsty or intense. 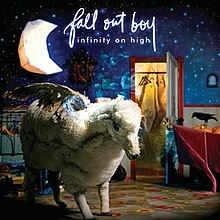 Infinity on High I remember getting a lot of stick back in the day that they’d gone “Too Mainstream” but as someone who has never really cared about what’s mainstream and what isn’t, someone who just appreciates music for what it is not where it stands in the industry I really loved Infinity on High. It reminds me of the months after I’d left high school and I wasn’t sure what to do next with my life but unline From Under the Cork Tree it’s easier for me to re-listen to. This for me is where FOB really found their sound, where all the screws were tight and they became a perfect little music machine. Though none of my ultimate favourite FOB songs are from this album there isn’t a single song from it I dislike and I could re-listen to this a thousand more times. 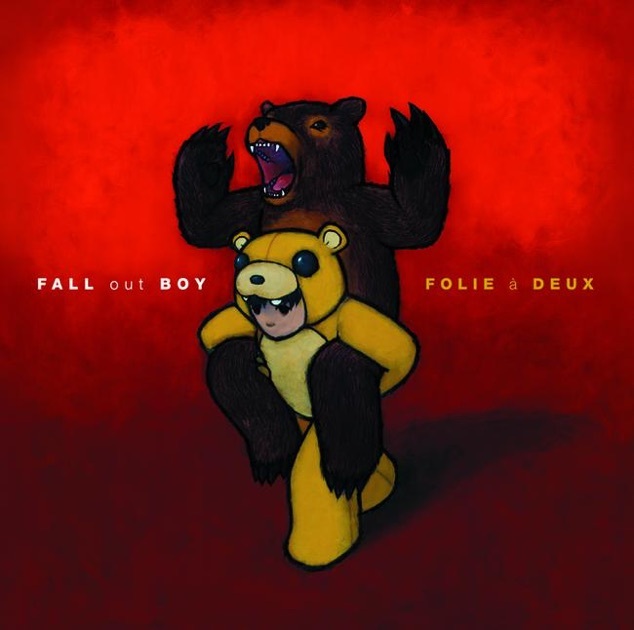 I can’t really remember why but it was a good year or so after it’s release that I finally heard the Folie a Deux, I remember wanting to put it off and worrying I wouldn’t like it. I don’t know if this was because I’d loved Infinity on High so much and worried they’d never match it but I was pleasantly surprised. I think out of all the albums they have released this is the most underrated one, it’s one people don’t really talk about and if they do it’s only to reference “I don’t care” which is a song I adore but isn’t the only great one from the album. This has the same trademark FOB sound but listening to I feel like I can hear that they were trying really hard to create/recreate something instead of just letting things flow naturally. As much as I lust after this album and it’s little underrated heart I do also see there was something a little amiss with it. Save Rock and Roll – ALL THE STARS! 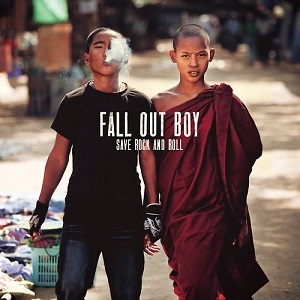 Save Rock and Roll…I struggle to talk about this album without sounding like a 12 year old fangirl but I will try my best. I think this album is complete and utter genius and I thought this before I even saw visual album version. From the millisecond the first track kicks up I feel like an epic superhero who can achieve anything and this feeling does not release me until the silence at the end of the last song. I have real passion for each and every song because every single lyrics hits home in some way but my favourite is Just One Yesterday and that is also consequently my favourite FOB song of all time. The entire second verse just knocks me out completely with how strongly I relate to it! It amazes me every time I hear songs/lyrics like this that music has such power! Where I thought Folie a Deux would flop a little compared to Infinity on High but didn’t the same cannot be said for American Beauty / American Psycho. That isn’t to say that I dislike this album just that I think anything following Save Rock and Roll had a lot to live up to. I like to pop this album on when I’ve got some housework to do or if I’m doing a home workout (pause for laughter at that utter joke of a statement lol), the music is great to dance to burn energy off too and it makes it a good album to tune out to because even though the lyrics are also pretty awesome they don’t pack the same emotional punch for me as the others. I love Jet Pack Blues (because I can see a story play out to the lyrics) and Novocaine (because the lyrics really hit home) but the others are just in the “would listen to but not seek out” league. So in summary I’d say Infinity on High, Folie a Deux and Save Rock and Roll was the true peak for me personally. Despite the little drop from Save Rock and Roll I’m still infatuated with their music and I’m really hoping the next album will be amazing but if not I have a lot I can listen to repeatedly and know I’ll never get bored. 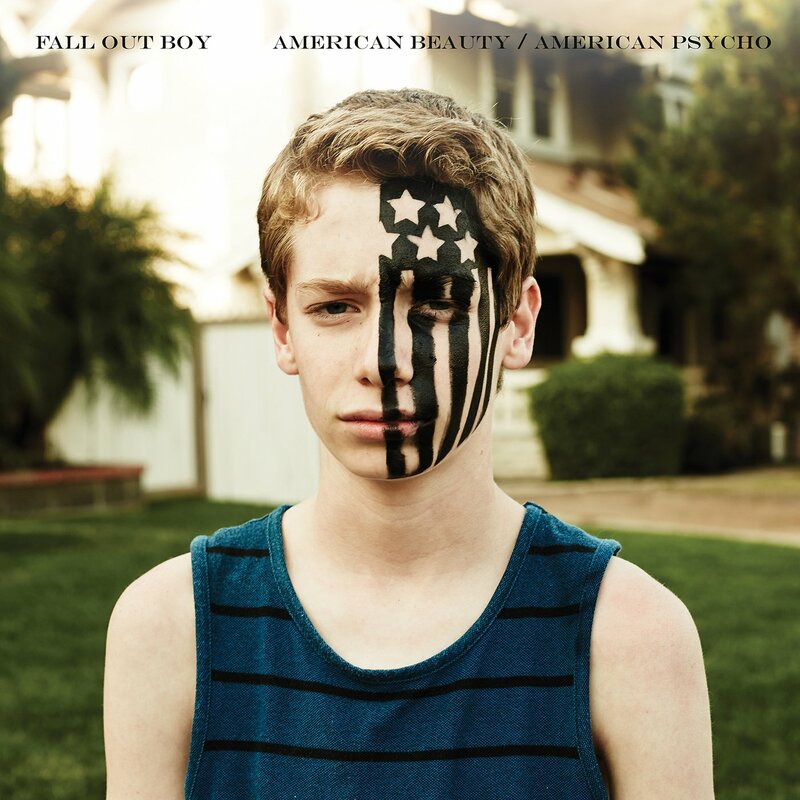 Are you a Fall Out Boy fan? Who was your favourite band/artist in your teens? Who would you like me to post about in the future? 4 Stars = Love it! Will probably listen to quite often. 5 Stars = Utter genius!! I think my Fall Out Boy ratings are the other way around! 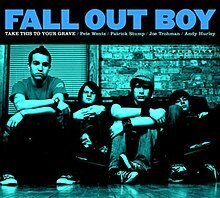 I loved Take This To Your Grave and From Under The Cork Tree, then lost interest after that. I do agree about Take This To Your Grave, though – now, when I listen to it, I think it sounds pretty iffy, but at the time, I loved it. From Under The Cork Tree is easily my favourite FOB album. I think back when it came out From Under the Cork Tree was pretty ground breaking and so I think it’s a lot of people’s favourite FOB and from there people either tuned out or became unquestioningly loyal. I feel like I’m the latter because they have done some questionable songs and yet I still excitedly wait for a new album!